One of the most visible results of the European debt crisis has been its impact on EU foreign policy. Before 2009, the EU looked at its relations with partners such as China from a position of theoretical superiority. The main approach of European policy-makers relied on the assumption that the EU model could be replicated across the world. So Brussels sought to deepen its political and economic dialogue with Beijing by making recommendations on issues such as the rule of law and human rights. But the onslaught of the European debt crisis ended the ability of the EU to try to impose its terms on other countries. 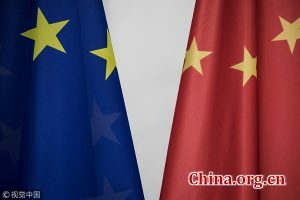 Being unable to cope with its liquidity problems and generate growth and investments, the EU welcomed the increasing role of China in European initiatives and of Chinese state-owned enterprises in European infrastructure works. Within this context, Beijing modestly started to become a dynamic player and even acquired the upper hand in some negotiations with Brussels. 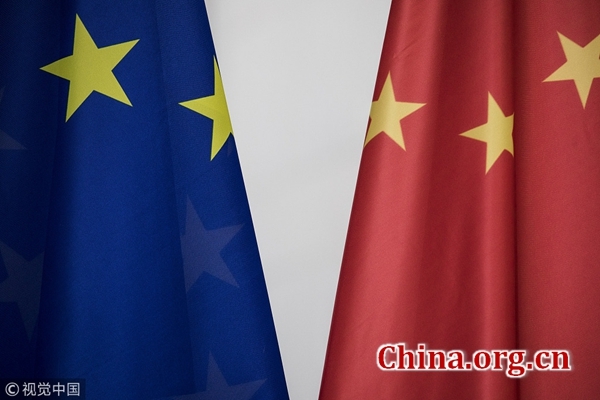 For a brief period after the beginning of the economic crisis, China and the EU collaborated harmoniously. The 2020 Strategic Agenda for Cooperation – decided in 2013 – set up the institutional framework on peace and security, prosperity, sustainable development, and people-to-people exchange. However, in spite of this and other joint actions, Brussels decided in 2017 to launch new mechanisms that would potentially limit the activities of Chinese companies in Europe. In 2018, it came up with what it calls a necessary screening of Chinese investments. The beginning of 2019 finds the EU still skeptical about China, which is being translated into political pressure on the governments of member states to be reserved in granting contracts to Chinese firms. In the EU view, because Chinese companies are subsidized by the Chinese state, competition is therefore unfair. In parallel with the screening tool, the EU is also strengthening its legal framework in line with their skepticism. By considering different Chinese state-owned enterprises as having the same ownership, namely the Chinese state, member states may subsequently find it more difficult to sign contracts with Chinese companies because of the EU law stipulating diversification in the origin of investments. The new European policy aims at defending the interest of companies from member states, as well as creating more opportunities for them to expand their activities in China and in countries along the Belt and Road. This objective is fair and has not been contested by the Chinese government. What is highly problematic, though, is that an anti-China sentiment is being cultivated in Brussels. Several diplomats, bureaucrats and technocrats have re-introduced the previous framework of superiority, journeying back to the pre-2009 era. To the point, a hostile approach vis-à-vis China is myopic. Most member states of the EU – including its leading economic power, Germany – are keen on expanding bilateral ties with China. More importantly, Chinese enterprises are often investing while Western ones are absent. If an investment vacuum is created, how will it be filled, especially in states encumbered by unemployment? Privatizations are seen as an important source of growth in Europe, but private European companies do not always express an interest in participating. By contrast, Chinese firms are eager to become involved, and sometimes, to take the economic risk in debt-ridden countries of the EU. EU policy-makers are right in working to create better presuppositions for European companies. But in so doing, they are wrong in painting China an adversary. By becoming more engaged in Europe, China is learning about European standards and policies and can adapt itself to new conditions. It is now the turn and responsibility of the EU to learn more about China – beyond Cold War terms – and to lead the post-crisis reality of a multilateral world order where developing economies have a share. Share the post "Why Europe Needs China"